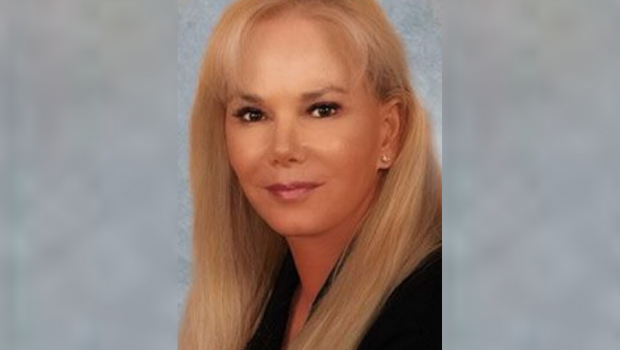 Marianne Cohan DDS is the lead dentist at Summerlin Dental Solutions in Las Vegas. Alongside her staff, she has been recognized with innumerable “Best Dentist” awards over the previous five years. Prior to starting her career here, however, Dr. Cohan spent some time far away from the state of Nevada. In fact, both of her degrees come from New York where she attended the State University of New York at Buffalo. After graduating, however, she decided to move far from the East Coast and start her build her career from scratch. Given her current levels of success, it is safe to say that she undoubtedly achieved a lot of those early objectives. I like to spend time exercising. Doing this helps me maintain my physical activity at an optimal level. Given that most of my work days revolve around sitting and have very limited movement, my muscles would quickly atrophy if I did not work out. I also enjoy gardening, getting together with family and friends, spending time with my grandchildren, and volunteering at animal shelters and with women who are survivors of domestic violence. I love getting together with my friends and family. Whenever we have time, we take short trips to nearby towns or simply get together. Doing so helps everyone catch up and see how things are going because we normally do not speak to one another on a daily basis due to our busy schedules. I actually have a few that I would not be able to separate as I think that all of them are brilliant. The first one would have to be “House M.D.,” which is no longer in production. It accumulated eight genius seasons before it was finished. For those unfamiliar, the plot revolves around a savant-style doctor who lacks every possible soft skill. He is not very sympathetic, does not really understand kindness, and struggles with physical pain on a daily basis. The character evolution and the events that are depicted further make it very fun to watch. Another show that I enjoy watching is the “Game of Thrones.” It is the polar opposite of the aforementioned and I approach it as the casual show that takes me away from reality. The reason why I enjoy it so much is the fact that it is brilliantly recorded, has an innumerable amount of plot twists, and is much different than anything else currently offered. I wake up at 56 and start my daily workout by 56:30. Sometimes, this simply means that I go for a quick jog around the neighborhood. From there, I get ready for work and grab a meal on my way to the office. In between patients is where I catch up with my correspondence and eat. Afterward, I tend to spend anywhere from 6 to 10 hours working on my patients before calling it a day around 4-7. Lastly, I head home and spend an hour or two doing something that will help me relax. What is your favorite thing about working in your industry? The ability to help people. Being a dentist has a direct impact on someone’s life in many different ways. First, there is a very obvious aspect of helping the patient’s health by helping them overcome dental troubles. Additionally, however, a lot of people fail to realize that dentists also play a crucial role in the patient’s visual appeal. By working with people to improve their teeth, we are directly responsible for making their smiles more beautiful and incentivizing them to smile as much as possible. I want to help more than ten thousand people over the course of my career. I have a plethora of work left to do. And even though I may not be able to reach that particular figure, I will continue striving towards it until the day that I retire. That type of mindset is what helps me overcome short-term obstacles. Also, the previously mentioned ability to help people and improve the quality of their life motivates me to do my job well. There is something special about seeing how you can impact a person by simply doing what you are trained to do.